Now I was annoyed. “Hey, Siri! Wake up!!! Sunday go to meeting silence. MG suggested that yelling at her wouldn’t help. I don’t know why not. MG yells at inanimate objects—like the TV—all the time, and it seems to work for him. We both put on our thinking caps to puzzle out why “Hey, Siri” worked at FB’s house but not in our car. It didn’t make sense. ME: I had to use my passcode before we could enable “Hey, Siri” so maybe I have to do that and unlock my iPhone first. ME: Right, but let’s see what happens when I unlock it…Here goes…Hey, Siri. Siri’s screen appeared along with a ding-ding sound. ME: It works when it’s unlocked. MG: That doesn’t help. Try it again when it’s locked. ME: [locking phone] Hey, Siri. ME: There must be something I’m not doing right. I just don’t know what it—wait a minute. I just remembered something. ME: A while back, there was a notice about someone being able to use your iPhone when locked without knowing your passcode if they activated Siri. ME: We were advised not to allow access to Siri when the phone is locked to prevent that, and I changed the setting. MG: Then change it back. I went into my settings to allow Siri access when the phone is locked, and then I held my breath. This had better work or MG would absolutely turn the air blue again. My delicate ears were not looking forward to another assault on their sensibilities. MG: Okay. Ask her something. MG: Ask where the next rest area is. 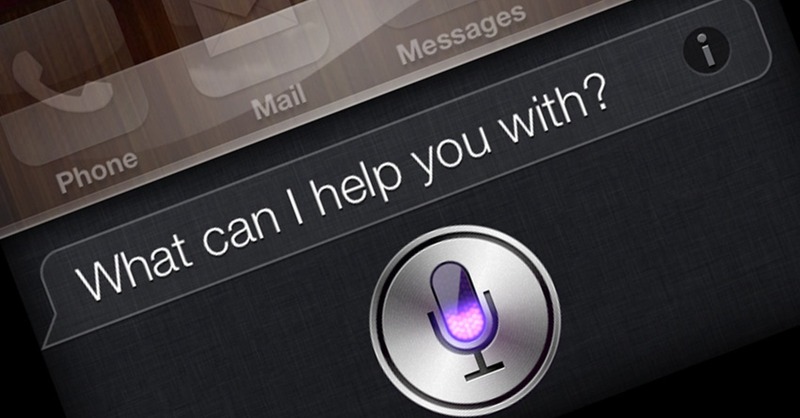 ME: Okay….Hey, Siri. Where is the next rest area on Interstate 77 North? SIRI: I found a Holiday Inn Express, a Fairfield Inn, and a Motel 6 nearby. Would you like to call one of those? MG: [expletive deleted] Those aren’t rest areas. ME: I know. Apparently, Siri doesn’t. So I tried differing versions of rest area: rest stop, interstate rest stop/area, etc. Nothing worked. Siri continued to recommend various lodgings. I refused to give up. ME: Hey, Siri. Find the nearest interstate restroom facilities. SIRI: Sorry, I don’t see any public toilets nearby. MG: I don’t think she knows where the [heck] we are. ME: Let’s find out…. Hey, Siri. Where am I? SIRI: You are in Parkersburg, West Virginia. Whoa! We were actually passing the Parkersburg exit. ME: Halleluiah! She got that one right. ME: Baby steps, Honey. Baby steps. Let’s give it time. She’ll learn, and so will we. We had similar fun with Google maps while on vacation. I’ll admit some of it may have been because of operator error, but I do think our gadgets can drive us nuts. But then maybe that is the goal? I tend to agree, Lucy. Yesterday, when I powered my iPhone in my car, instead of activating Hey Siri, my iPhone had my alter ego trying to call me. I’m beginning to think my iPhone is possessed. I get so frustrated with the Sync feature on my phone to the car. Sometimes it works but some times it doesn’t recognize the name I’m saying or just cuts out. I think it needs a bigger antenna, like one the size of bigfoot on my car! Then it’d also help me find it in a busy parking lot! LOL! I’ve had the same experience with SYNC in my Ford Edge. When MG is driving, he cusses at it when it makes mistakes. I believe Majel has developed an intense dislike for MG because she messes with his mind every time he’s behind the wheel using SYNC. Personally, I find it hilarious. Doesn’t surprise me at all that Siri didn’t react properly, read at all, when FB wasn’t present. I, too, gave birth to an IT specialist. Electronics NEVER work as they should once he leaves the area. I think you’ve hit on something, Margo. It must be a conspiracy. To me, even rudimentary two-button-pushes Siri keeps me remembering that we are living in the science fictional world I only read about in SF magazines as a kid. Not to mention the early SF movies and TV shows. FaceTime and Skype let us talk face to face on our computers and phones the same way they did back then. When you think how far technology has advanced since then, it boggles the mind.